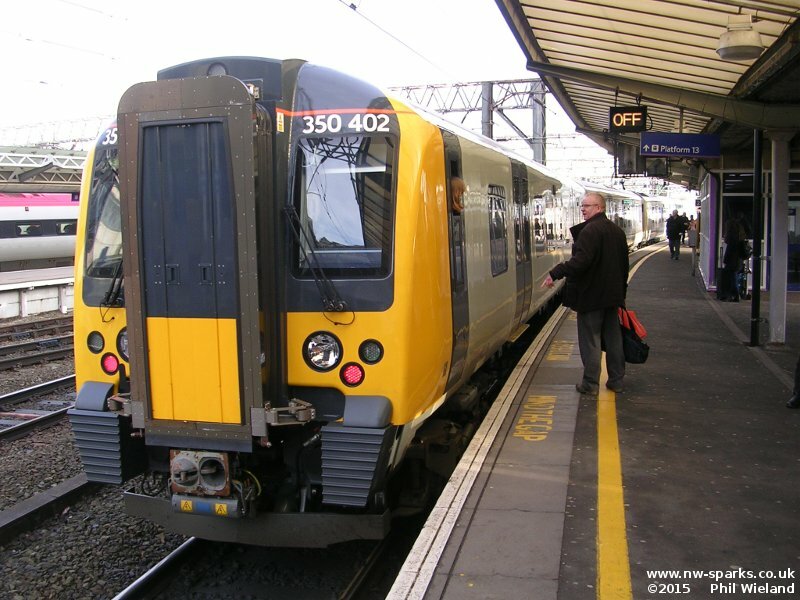 Naturally, a newly electrified railway will need some electric trains, and the current plan is that for the majority of the services we are to receive Class 319 units which will be rendered redundant by the Thameslink upgrade project currently under way in London. The trains are being refurbished but the promised air conditioning seems to have been dropped. A number of units have been completed and delivered to Allerton, and more are on their way. It is not clear how long it will be before enough units have arrived to cover all the Liverpool to Manchester and Wigan and Warrington services on phase two of the electrification. As well as the 319s, there are also some brand new trains for the area. Siemens Desiro four car emus, Class 350/4, were ordered for Manchester to Scotland services which will run from Manchester via Eccles, Parkside Junction and Golborne Junction to reach the West Coast Main Line, until the route via Bolton has been electrified. 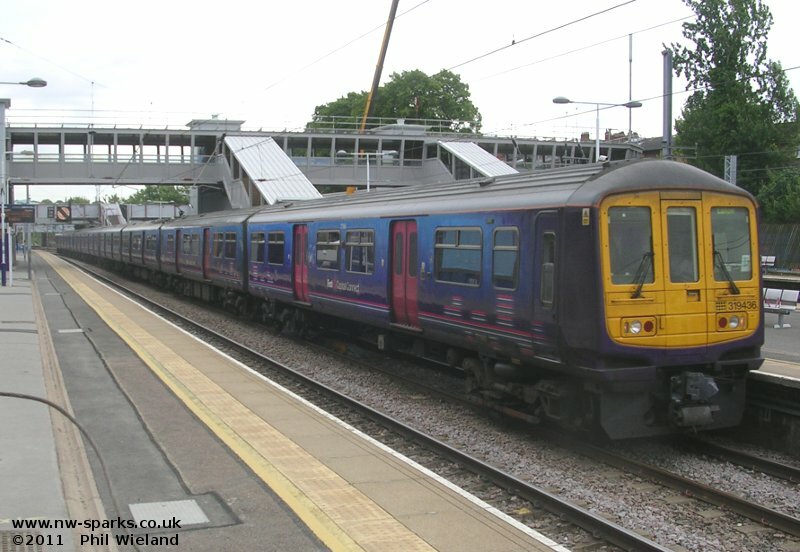 These replaced existing services operated by Class 185 diesel trains, and were phased in in early 2014. The units were constructed in two batches between 1987 and 1990 by BREL at York. They are equipped for 25kV overhead and 750V third rail electrification. Each unit consists of four cars. The interiors of the refurbished units feature 2+3 seating, and no first class. The 750v shoe gear is removed. For more information on these trains, I recommend Wikipedia. The first 319, number 319361, arrived at Allerton on 20th June 2014 to be used for training. Here, 319436 leads an eight car northbound Thameslink service at West Hampstead on 16 May 2011. The previous Class 350 units were constructed by Siemens between 2004 and 2008. The new ones are designated Class 350/4 and feature 2+2 seating in standard class and 2+1 in first class. They are 110 m.p.h. capable, although this is not currently being used. 350402 stands at Manchester Piccadilly in January 2014.